Last year, Jurassic World: Fallen Kingdom hit theaters and left fans with a doozy of a cliffhanger. Isla Nublar is gone and now the remaining dinosaurs are all roaming free on the mainland. Jurassic World 3 will presumably deal with the fallout of this, and show how humanity reacts to the real possibility of raptor attacks. Details on the film are slim, but Chris Pratt knows everything that’s going to happen, and he’s telling everyone to hold on to your butts. 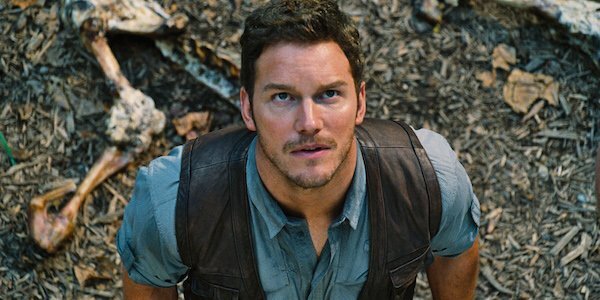 In an interview with MTV News, Chris Pratt dropped what details he could about Jurassic World 3. Pratt obviously couldn’t say much, but he was blown away by the script and the direction it took. The film will be just as epic as ever and fans won’t be left disappointed by how it ends. Of course, it’s kind of Pratt’s job to hype up the film, but taken at face value, it sounds like fans have something to look forward to with this trilogy-capper. We’ll all just have to speculate on how Jurassic World 3 will end. The movie isn’t scheduled to arrive in theaters until June 11, 2021. The good news is that there are lots of movies coming out before then and you can learn about them in our 2019 movie release guide.